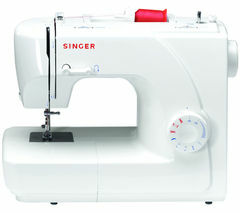 Ideal for anyone looking for an uncomplicated introduction to home sewing, the Singer 1507 Sewing Machine offers user-friendly features and trusted reliability.Built-in stitch programmes The Singer 1507 couldn't be easier to start using – a simple rotary control dial shows which stitches you can use and makes it easy to select the one you want. 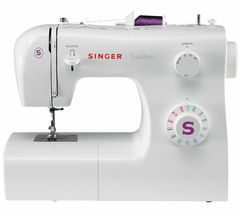 Choose from one of the 1507's eight different built-in stitches to apply a wide range of finishes to your garments as you experiment with sewing different fabrics and cloths.Get creative A simple front loading bobbin and electronic foot control help you maintain control at all times. It comes with snap-on feet which can be interchanged to allow quick changes to suit the task at hand. 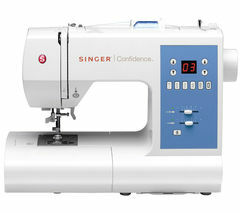 As well as a standard, general-purpose foot for everyday tasks, the 1507 also features special feet for sewing four-step buttonholes and attaching buttons, so you can put the finishing touches on your home tailoring creations.Adjustable levels Raise and lower the feet to work on a variety of fabrics from sheer satins to heavyweight denim with the same consistent results. From shirts to curtains, pillowcases to trousers, the lightweight and versatile 1507 will be able to accommodate them. 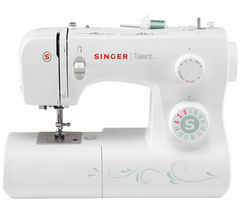 Learn the finer points of sewing with easy-to-handle Singer 1507 Sewing Machine.